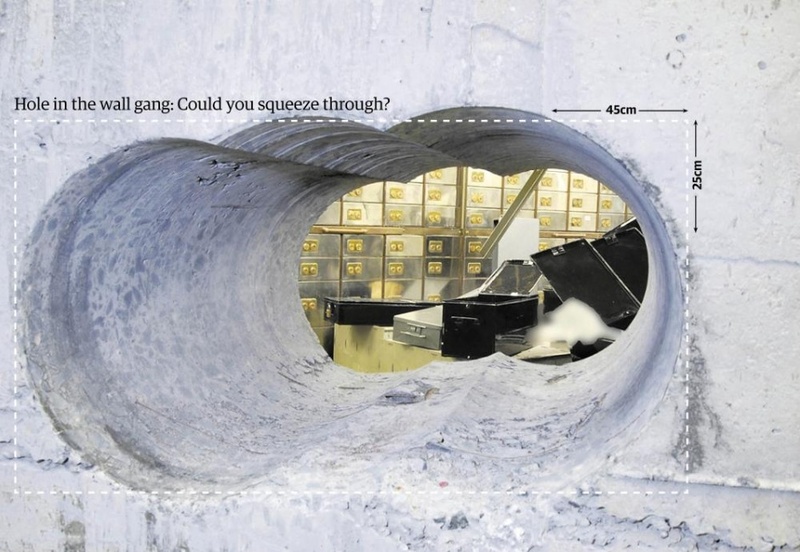 The last week or so has been tumultuous, with audacious heists, appalling natural disasters, civil unrest and volcano eruptions. See the photos that have caught my attention, from the terrifying beauty of outer space to remorseless frogs. 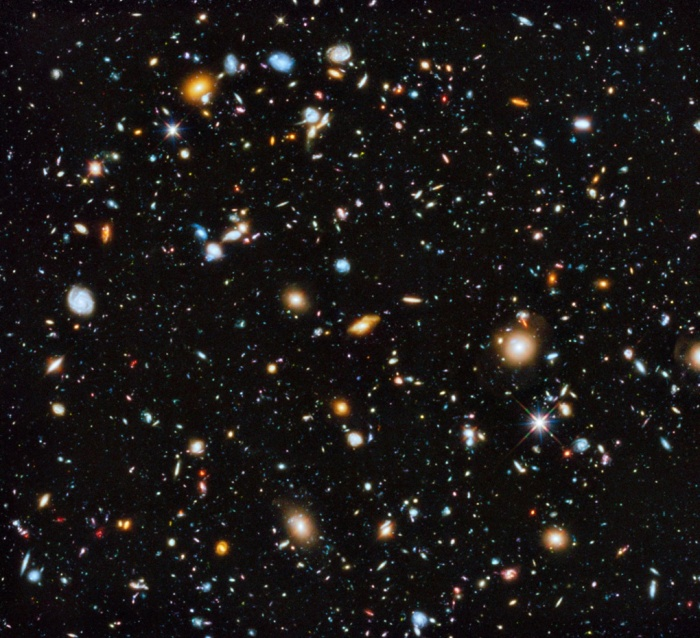 As the Hubble telescope prepares to celebrate its 25th birthday, The Guardian has published spectacular images from its quarter-century history that show the awesome, explosive majesty of our universe. 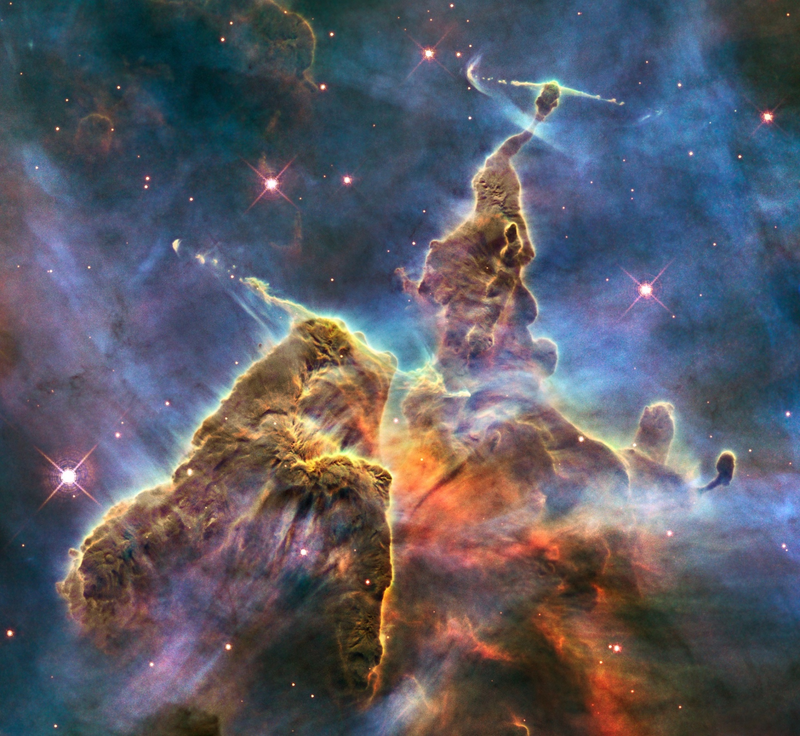 The above photo is a composite of chaotic activity in the region of the Carina Nebula known as ‘Mystic Mountain’. A three-light-year-tall pillar of gas and dust is being eaten away by the brilliant light from nearby stars. Jets of gas are also being fired from within the pillar by infant stars. 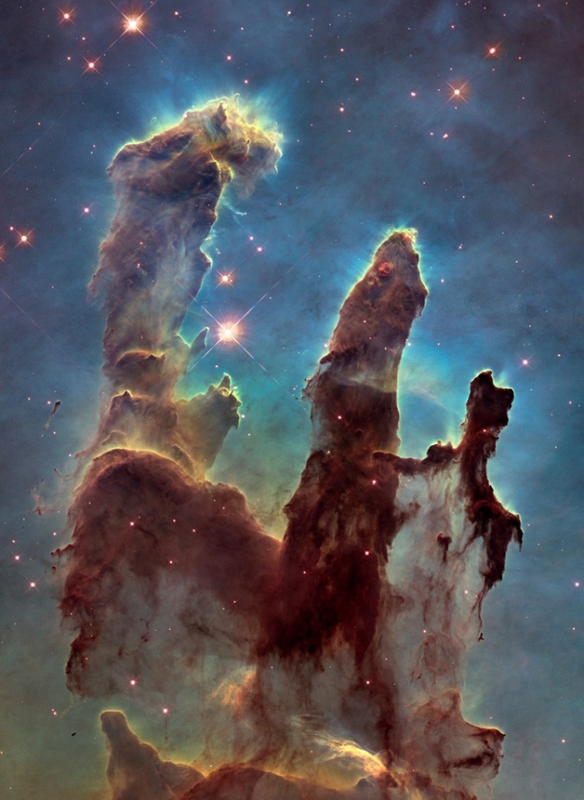 An iconic Hubble image: named “Pillars of Creation”. 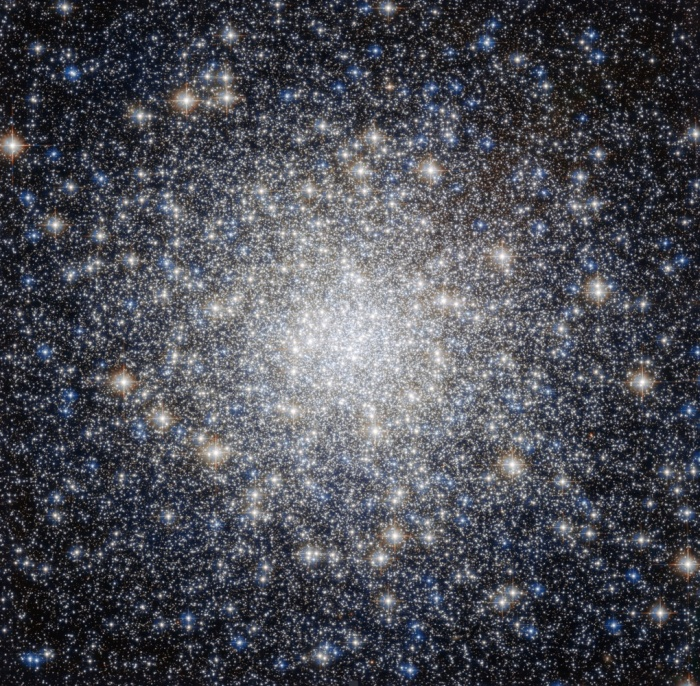 The most comprehensive picture ever assembled of the evolving universe..
Messier 92 – one of the brightest and oldest globular clusters in the Milky Way, containing some 330,000 stars. 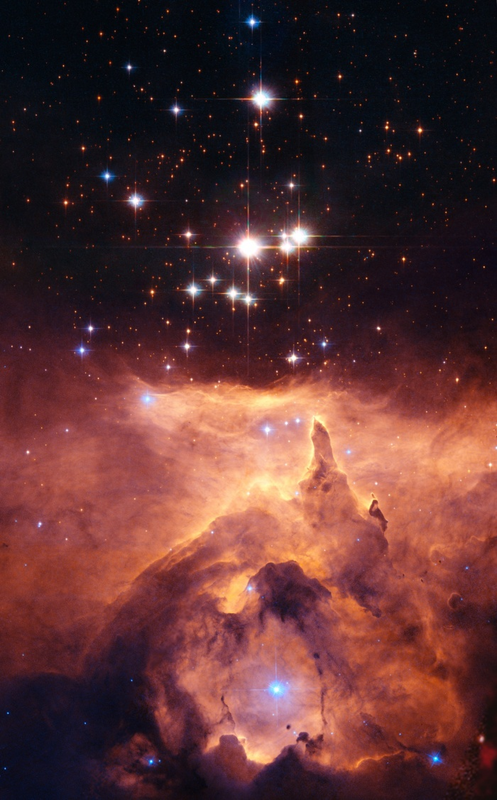 Star cluster Pismis 24. The bluest stars are the youngest. Male moor frogs mob a hapless toad in a pond. 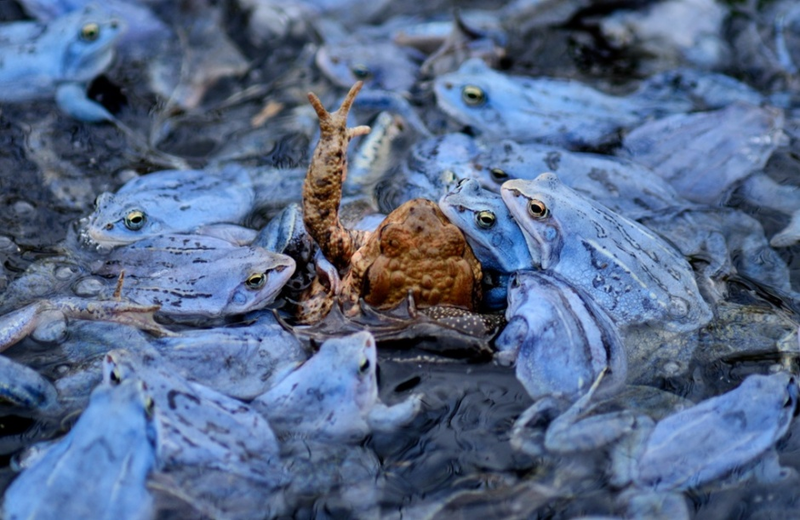 The image was runner-up in the emotions category of the Society of German Nature Photographers’ 2015 wildlife photographer of the year award. 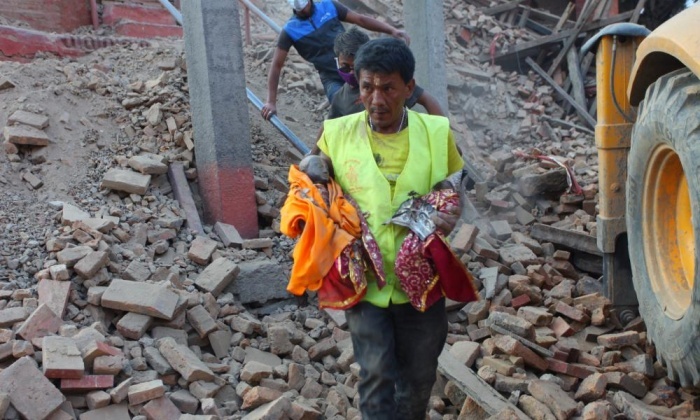 A member of a rescue team takes idols from a fallen temple at Hanuman Dhoka Durbar Square, Nepal, to a safe place. 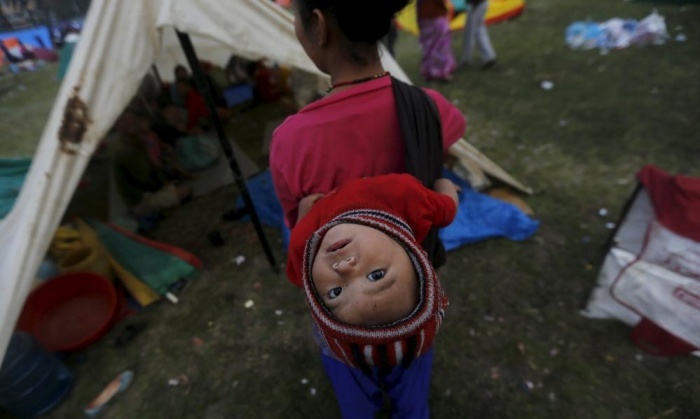 An earthquake victim carries her baby on her back as she stands outside her makeshift shelter in Nepal. In Medellin, Colombia, it is common to see mannequins with extra large breasts and bottoms, due to the prevalence of surgical enhancement. 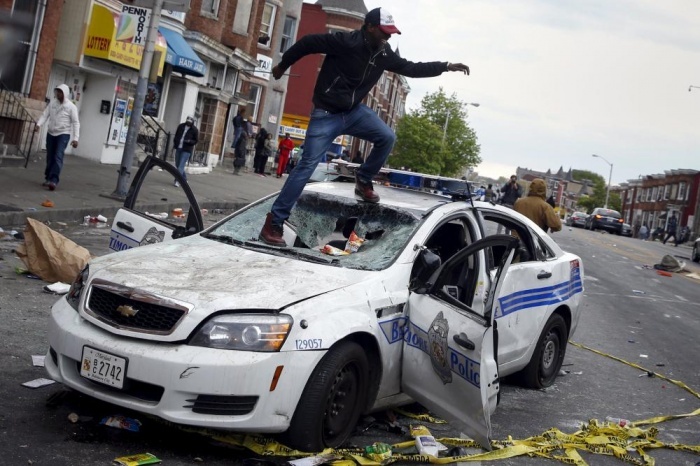 A demonstrator jumps on a damaged police car in Baltimore, during unrest following the funeral of Freddie Gray, who died in police custody. 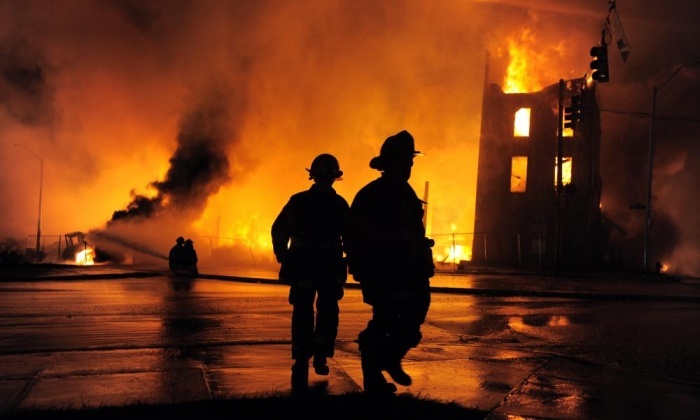 A fire rages in Baltimore, as emergency services try to cope. 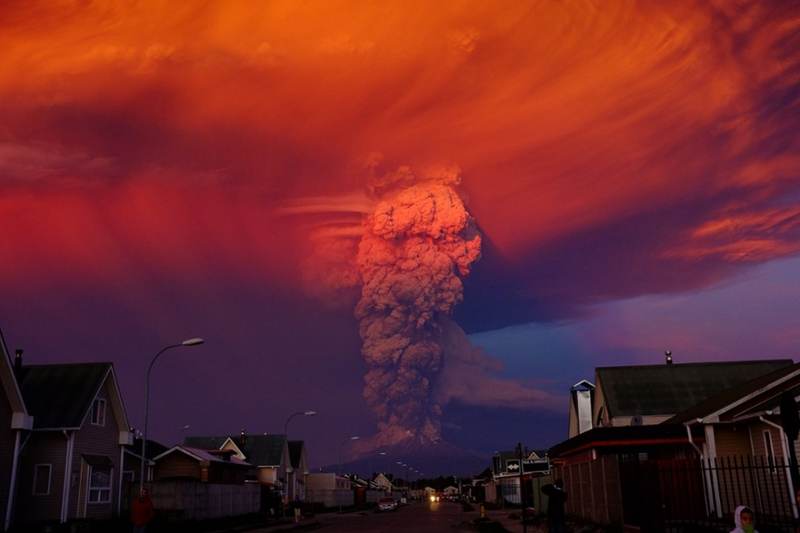 A volcano in Puerto Montt, southern Chile erupted twice, sending up vast clouds of ash.